Planning a weekend away this Bank Holiday? I have put together a selection of clothing items which are perfect to take with you on your retreat. All of which can be found at A Hume Country Clothing. With our British weather being temperamental it's best to be prepared for all weather conditions! These gorgeous brown leather Fairfax & Favor boots compliment any country outfit - from the countryside to the city. 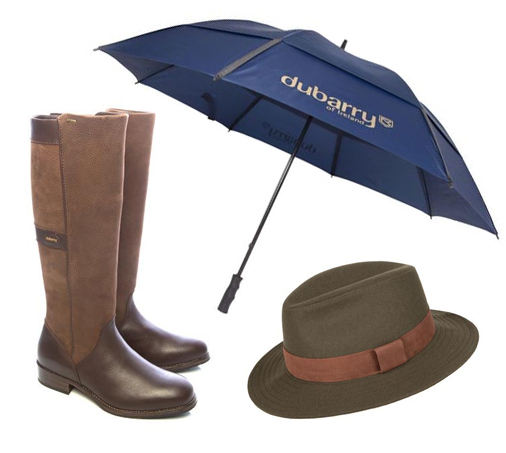 Dubarry have a great range of traditional handbags, the holdall is great too. I must get one! The Blazer looks really smart too. Teamed with a pair of jeans, heels and a cheeky gin and tonic this would look stunning for lunch time outfit. I love this Gibson & Birkbeck woodcock print shirt! Smart yet really cute at the same time. Why not follow my Pinterest board for more inspiration? Hope you all have a wonderful Bank Holiday!